On this day in 1814, beer (specifically porter, recorded in some cases) burst out of a vat in the Meux and Company Brewery, broke other vats in the brewery, and 1,470,000 liters, in total, gushed into the streets of the St. Giles Parish of London. 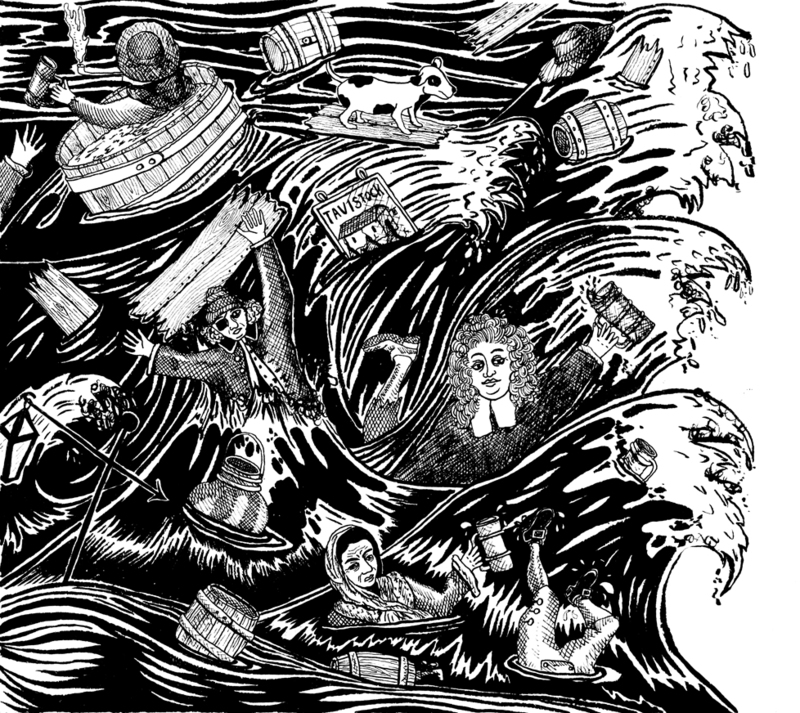 According to many sources, “The wave of beer destroyed two homes and crumbled the wall of the Tavistock Arms Pub, trapping [employees] under the rubble.” This day became to be known as The London Beer Flood. It is said that seven people drowned or died of injuries related to the destruction that day. When the brewery was taken to court, the judge ruled the event as an “Act of God.” Meux and Company could not handle the effects of the disaster, yet was somehow able to continue trading as a company until the brewery was demolished in 1922. In 2012, the Holborn Whippet Tavern began re-recognizing the The London Beer Flood with a special brewing of porter.